Articulate has recently launched Storyline 360. While Articulate is promoting its responsive player in a big way, this post is a review of the new and enhanced features needed for e-learning translations. Added new language variants for two countries in its player text labels. Improved HTML language identifiers for screen readers. Made the interface available in Chinese, French, German, and Spanish. Articulate Storyline 360 has now enhanced its support to right-to-left languages, such as Hebrew, Arabic, Farsi, and Urdu. It is also compatible with languages with double-byte character sets such as Chinese, Japanese, and Korean. Now developers can easily change the orientation of Articulate player elements from ‘left-to-right’ to ‘right-to-left’. They can also change the text orientation of navigation buttons, sidebar tabs, and pop-up messages. To do so, you just need to select the desired language or customize text labels. Right-to-left support is enhanced, but some options are still ‘left-to-right’. In an effort to localize the player, the PREV and NEXT buttons have been reversed, but the PLAY button and progress bar (Seekbar) are not, conflicting with other player buttons. Want to keep your e-learning translation costs within the budget? Check these 12 tips. As mentioned earlier, Storyline 360 is available in Chinese, French, German, and Spanish, apart from English. We can change the interface language of Storyline 360, Studio 360, Replay 360, and Peek – all offerings of Articulate 360 – into these four languages. Just use the Articulate 360 desktop application to change the language of your apps, at a time. 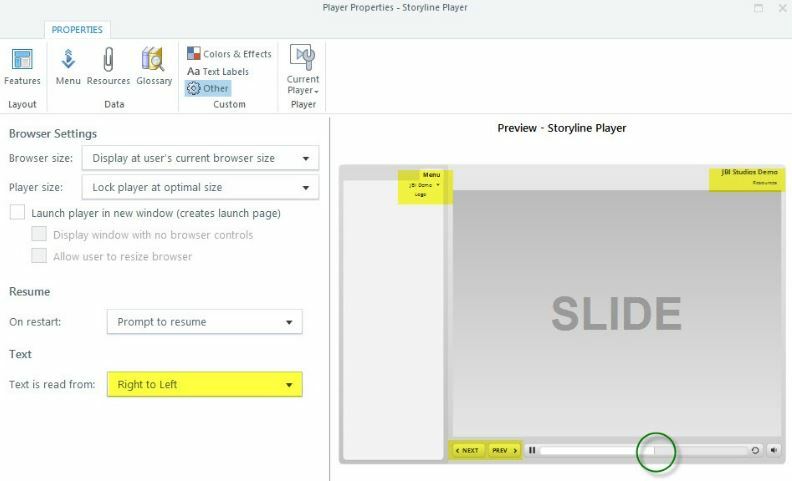 Changing the language is very simple, right click the Storyline 360 icon and select the Preferences option. 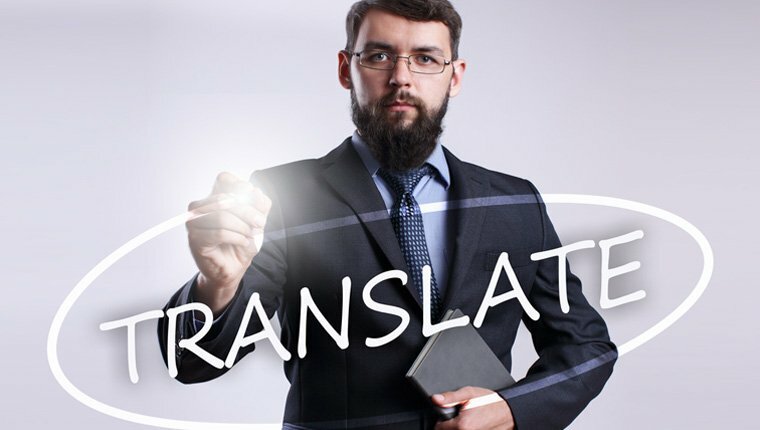 Want to find the right e-learning translation partner? Check these 7 important steps. This is an enhanced feature. In Storyline 360, you can now localize course content for learners with screen readers. This is possible through the HTML5 Language Identifier tag. The language identifier is enabled by default and matches the language you select for your player text labels. Storyline already offers player text labels and templates in 28 foreign languages. Two new language variants have been added for player text labels – Canadian French and Brazilian Portuguese. Spanish has not been upgraded; it’s the same for Spain and Latin America. Want to know how to overcome the challenges you face in Articulate Storyline while e-learning translation? Check these 5 suggestions. 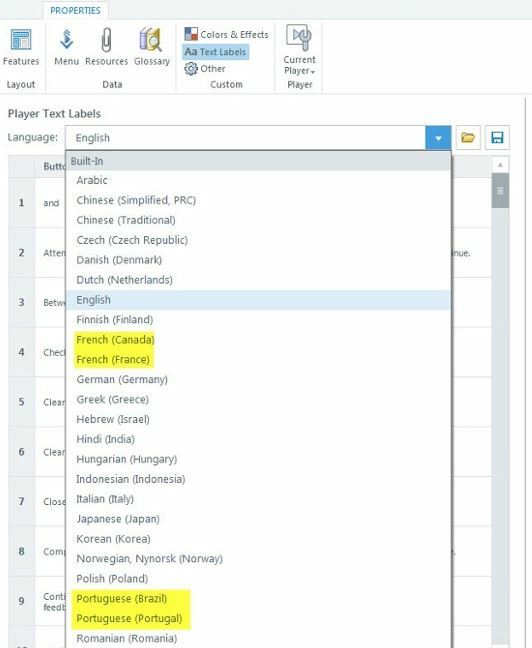 So, two new language variants in player text labels, minor enhancements in ‘right-to-left’ support, and HTML language identifiers for screen readers are what Articulate Storyline 360 has to offer to ease translations. Final Word: Articulate Storyline 360 has focused more on improving the existing features for e-learning translations, rather than offering new features. What are your views on these features? Do let us know.